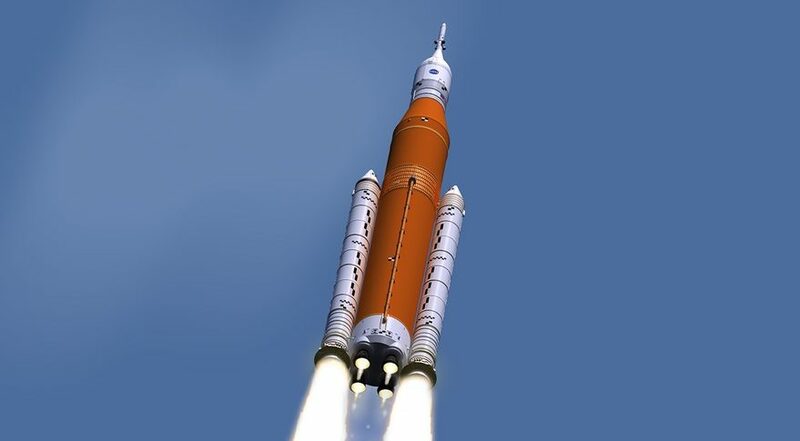 HUNTSVILLE, Ala. — NASA is still up to a month away from setting a new target launch date for the first flight of the Space Launch System, but agency officials said they still expected it to take place in 2019. NASA has not set a new date for Exploration Mission (EM) 1, which will launch an uncrewed Orion spacecraft on a test flight into lunar orbit and back, since announcing in May that it would delay the flight to 2019 after deciding not to put a crew on the mission. In September, the agency said in a statement that it would announce a new target date for EM-1 in October, citing the need to account for a range of issues, including progress on the European-built Orion service module and shutdowns at NASA centers from hurricanes in August and September. However, an update in October is increasingly unlikely. “Within a few weeks, I think [NASA Acting Administrator Robert Lightfoot] intends to codify whatever that date is going to be,” Todd May, director of NASA’s Marshall Space Flight Center, said in remarks at the American Astronautical Society’s Wernher von Braun Memorial Symposium here Oct. 25. Bill Hill, deputy associate administrator for exploration systems development at NASA, offered a similar assessment. “Probably in the next month, maybe sooner,” he said in an interview. During a panel discussion at the conference, Hill said two key elements of the EM-1, delivery of the Orion service module and completion of the core stage of the SLS, were driving the schedule for the mission. “Those are our two critical paths right now, and they’re kind of neck-and-neck for getting to a launch date,” he said. The service module, being built by Airbus Defence and Space in Bremen, Germany, is in advanced phases of assembly, according to Mark Kirasich, NASA’s Orion program manager. The last components of the module should be in plance by March or April next year. He expected the service module to be delivered to the Kennedy Space Center “some time in the summer of next year” to be integrated with the crew module already there. The SLS core stage has suffered welding problems that have slowed its construction. “It’s our big new development,” said John Honeycutt, NASA SLS program manager. The flight core stage will be completed next year while pathfinder units undergo testing. Those schedules would allow for an EM-1 launch in 2019, agency officials said. “2019 is where we think we can that done,” May said when asked when he thought the EM-1 launch would take place. He was not more specific, but if NASA is able to maintain a 2019 launch for EM-1, it likely would be late in the year. NASA notified Congress in June that its estimated launch date for EM-1 was no earlier than October 2019, according to an Oct. 19 report by the Government Accountability Office. Program managers, though, warned of the potential of additional problems that may crop up as the agency goes through the development and testing process of SLS and Orion, and associated ground systems at KSC, for the first time.